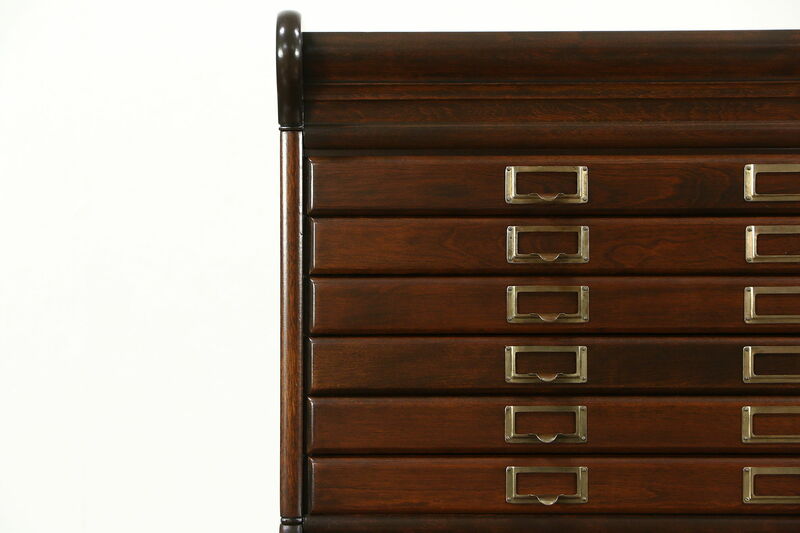 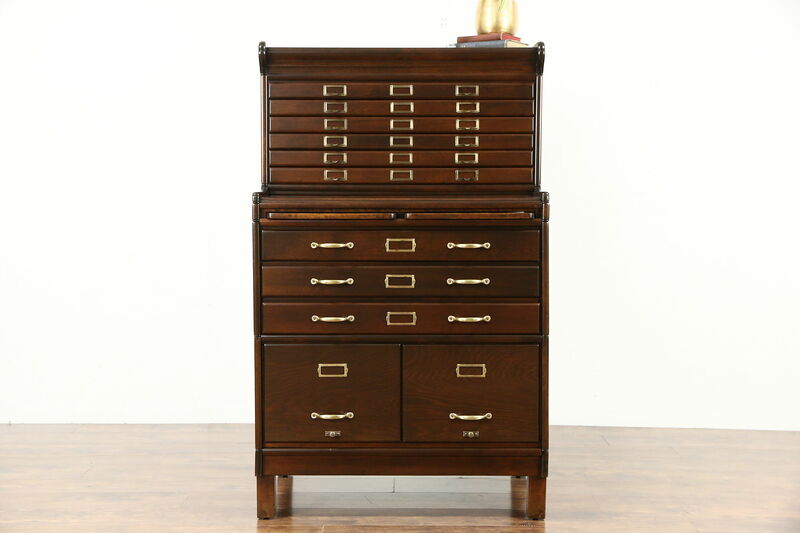 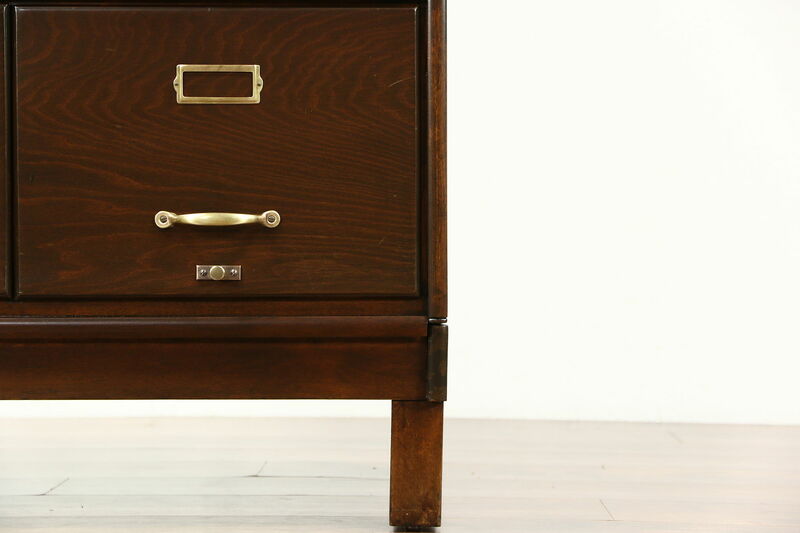 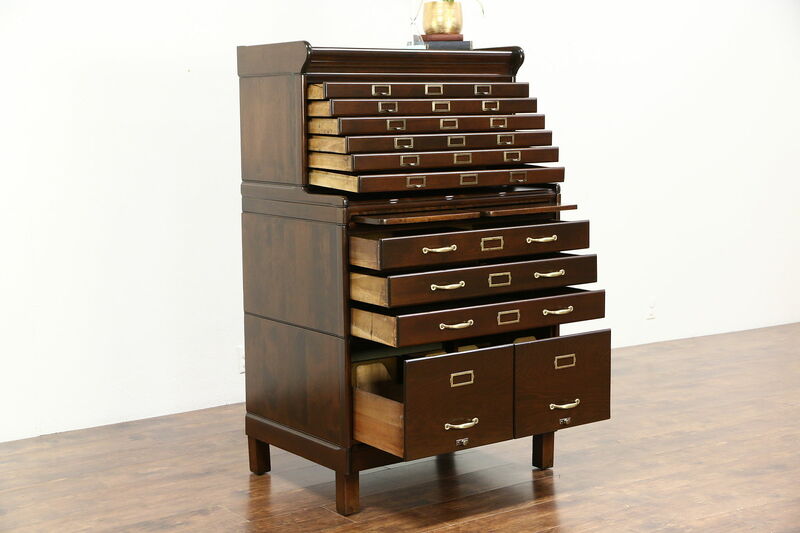 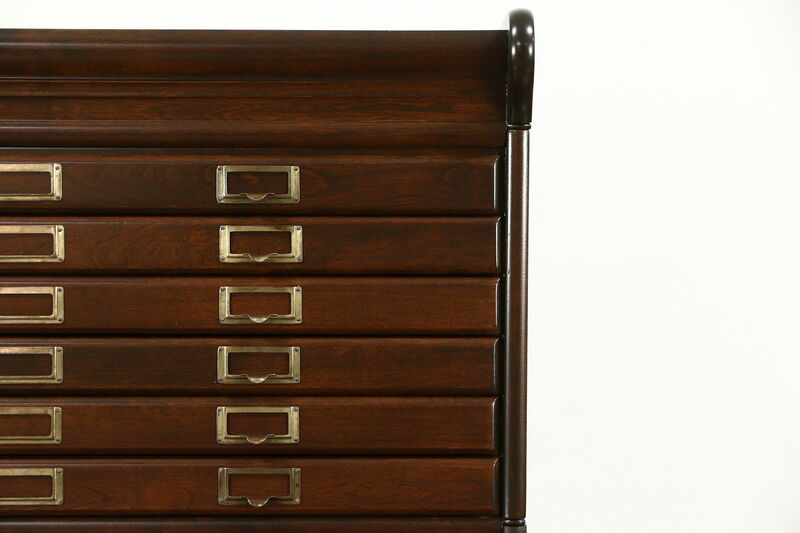 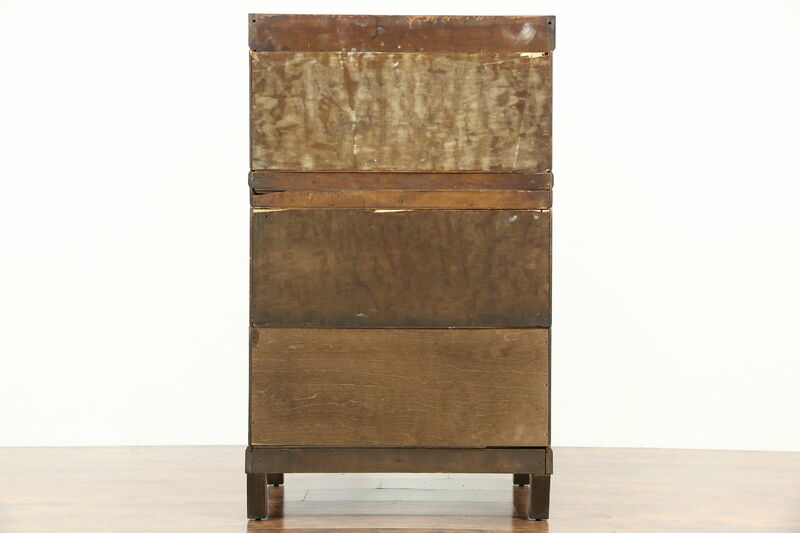 A stacking file cabinet from about 1915 includes wide drawers for maps or drawings plus legal or letter size file drawers. 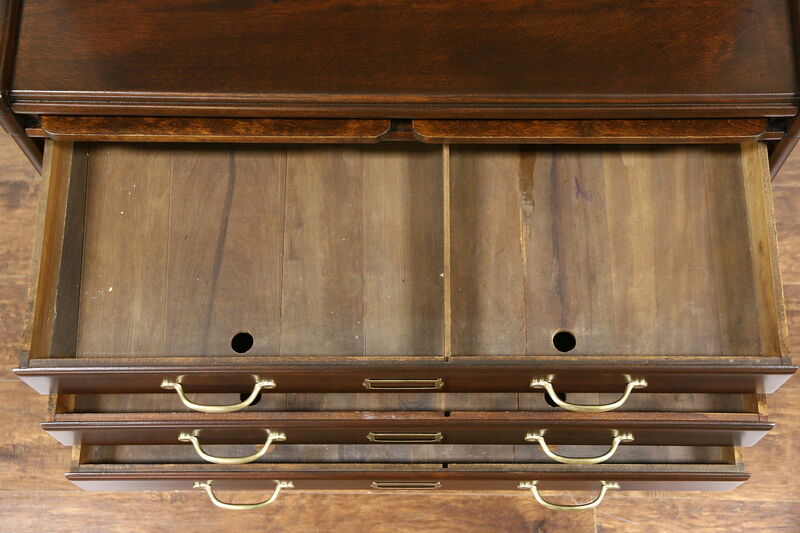 Stacking modules include the top and base plus two pull out work shelves. 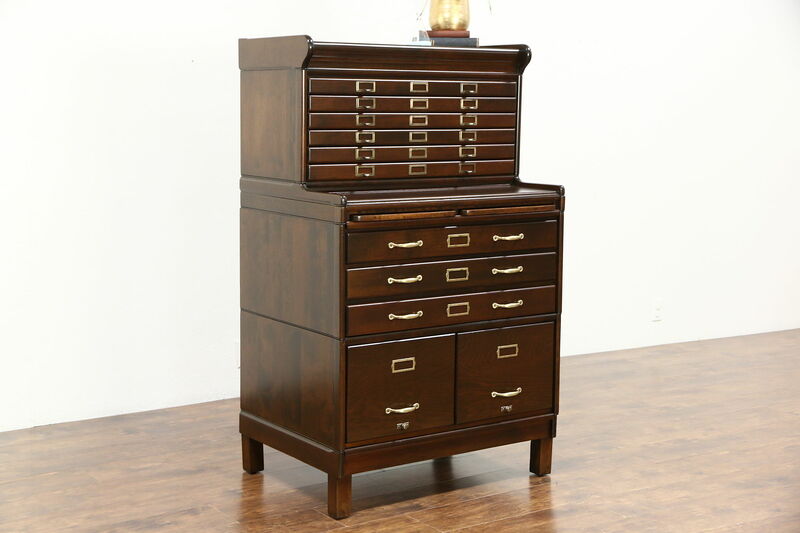 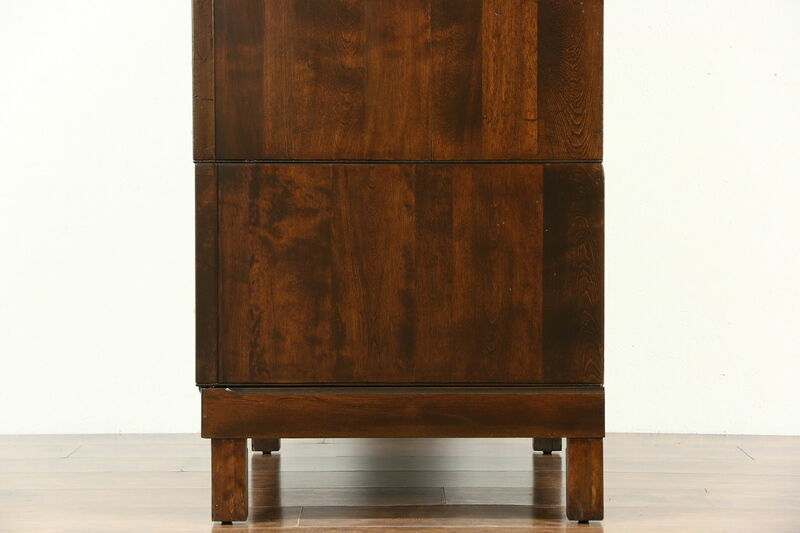 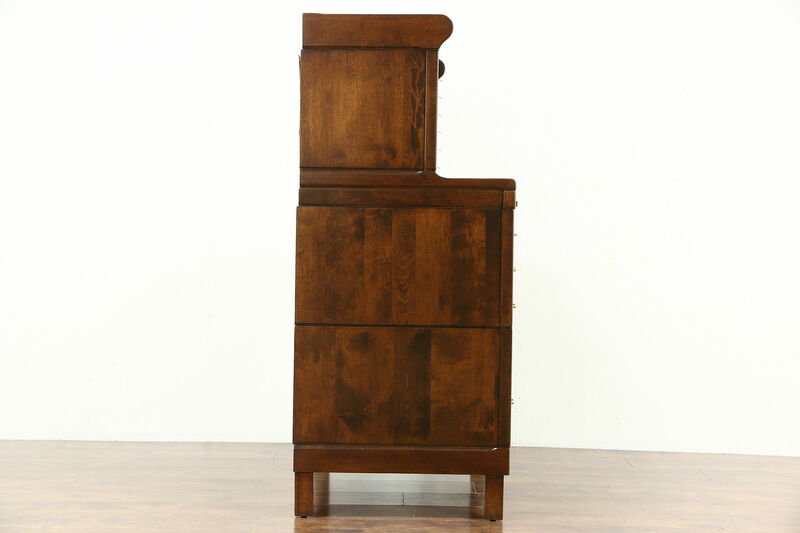 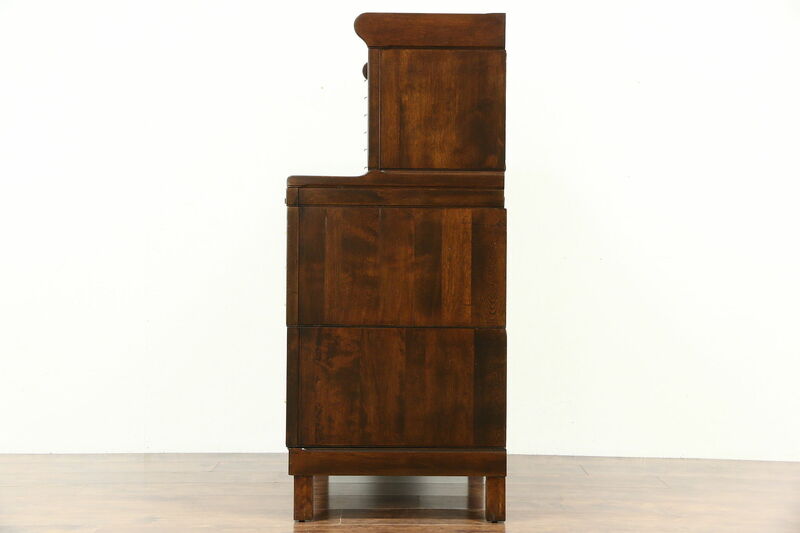 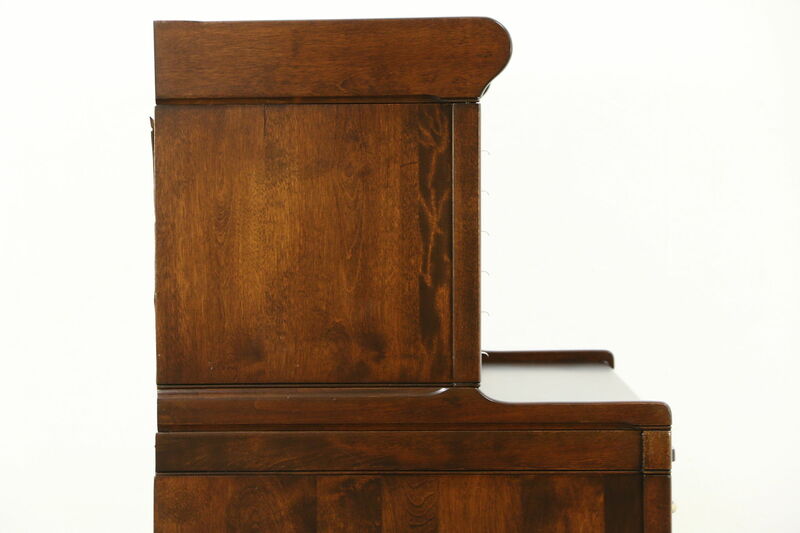 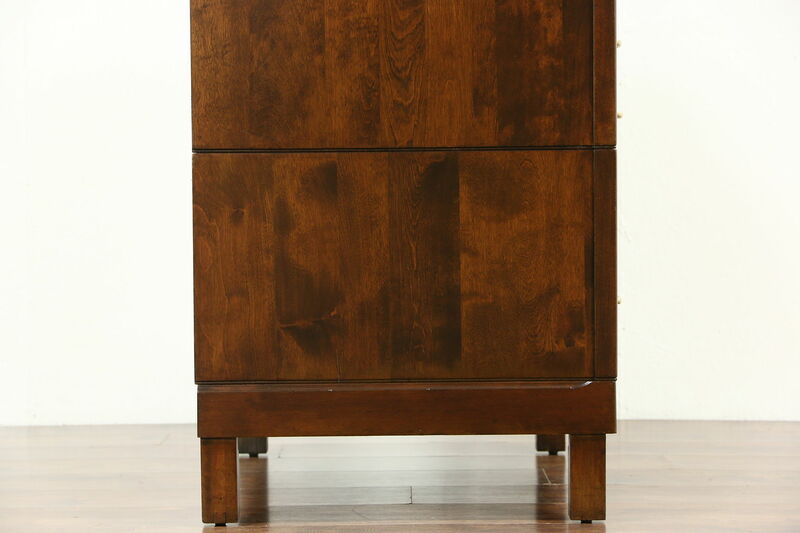 This unsigned American made library or office furniture has an excellent restored finish on solid birch hardwood. 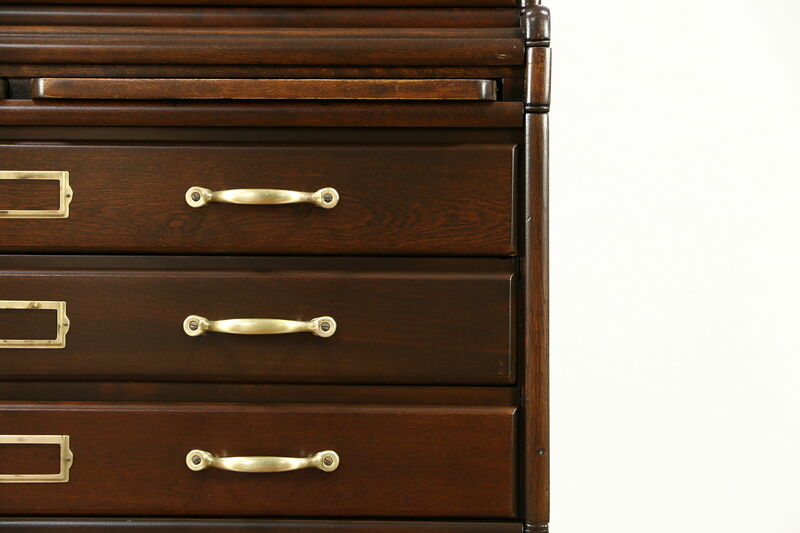 There are minor shrinkage separations from age and solid brass hardware and label holders. 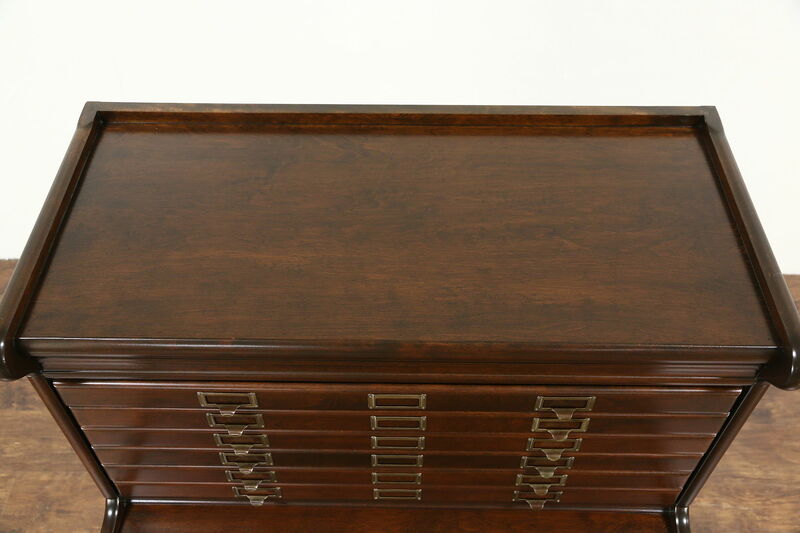 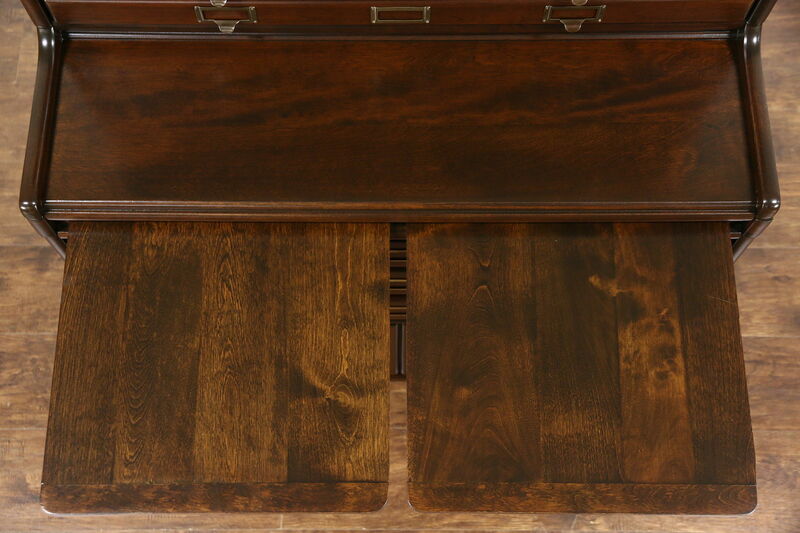 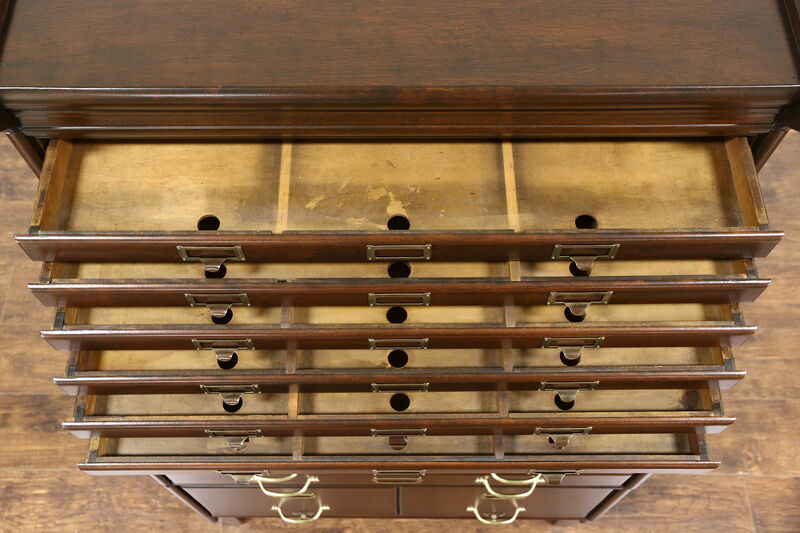 Some of the upper map drawers have dividers, interior size is 30" wide, 14" deep and 1 1/2" high. 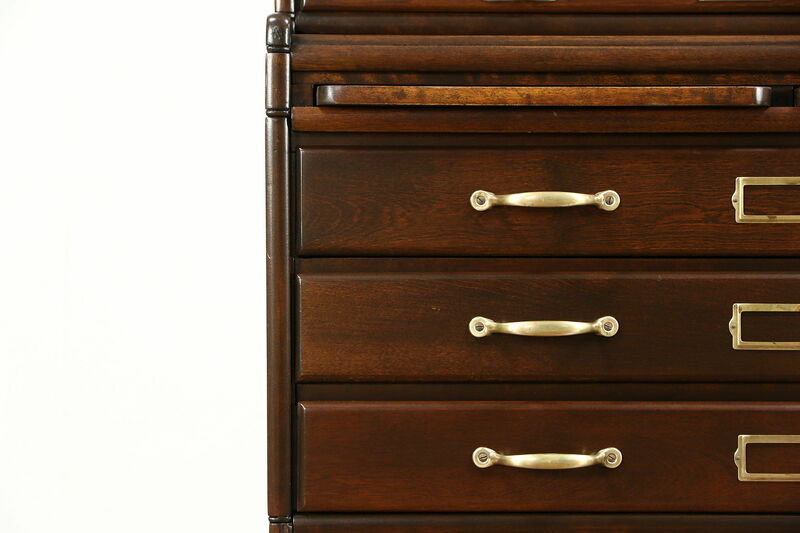 Three center drawers with push holes measure 30" wide, 22" deep and 3" high inside. 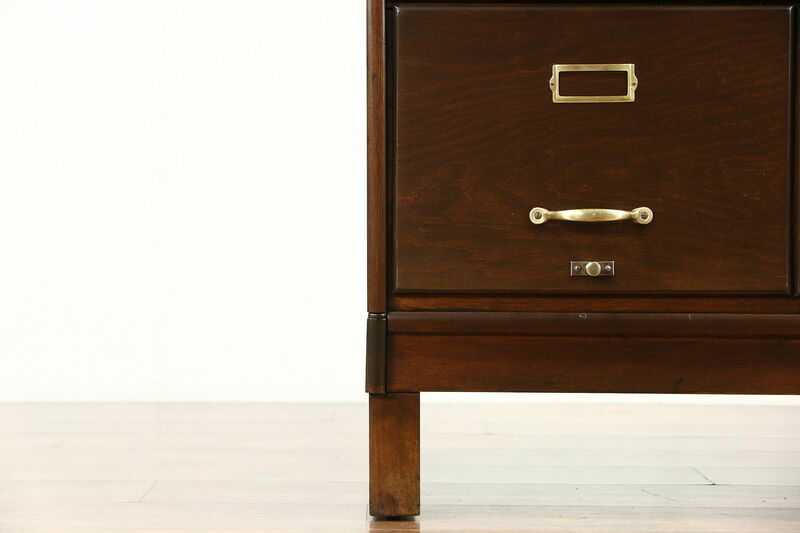 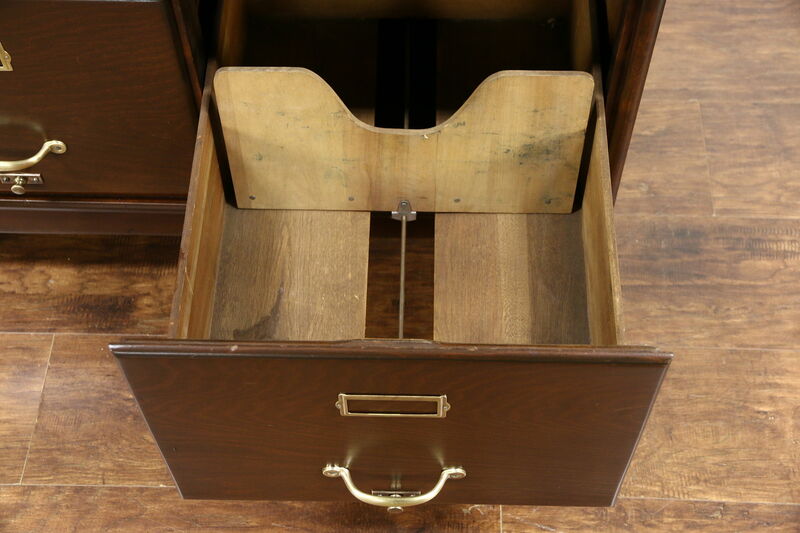 Lower file drawers have adjustable pushers. 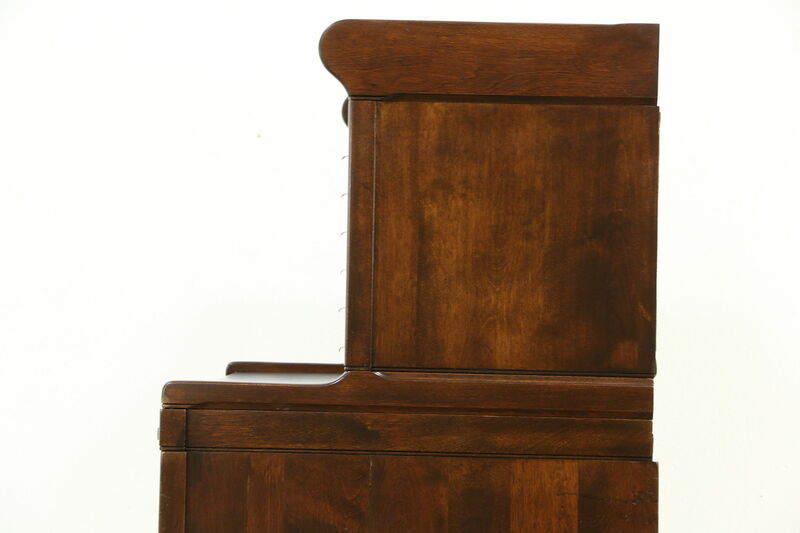 Dimensions are 34" wide, 25" deep and 56 1/2" tall.